Live Inspired: There’s no way you can change what was, what is and what will be! What you have to go through in Life, you have to. You simply can’t escape it. I remember a dialogue from the movie “Shirdi Ke Sai Baba” (1977, Ashok Bhushan, Manoj Kumar, Sudhir Dalvi). Rajendra Kumar, who plays a rational-minded scientist (whose son is cured miraculously by Baba’s grace when even the doctors have given up), asks Manoj Kumar, who plays a Baba devotee, “If Baba is indeed so great that he can cure my son when medical science failed to do it, why can’t the same Baba solve all of the world’s problems? Why is there poverty, hunger, death, depravation, sorrow and grief everywhere?” Manoj Kumar replies: “Karm-yog ki Bhatti mein sab ko jalna padta hai!” It means, literally, each person has to go through his or her Life burning in the kiln of destiny! And so, that’s the way it is! On Saturday last, the weekend magazine of The Hindu Businessline, called “BL Ink”, ran a story by Deepa Bhasthi on a very courageous mother-son duo. I learnt, reading that story, how people deal with their own Life challenges, stoically and peacefully. Dr.Shilpa Rao, a paediatrician, discovered that her son, Sonu, had Autism Spectrum Disorder (ASD) when he was 18 months old. She was shocked when her ex-husband and his family – although they were all doctors – shunned Sonu for not being “normal”. 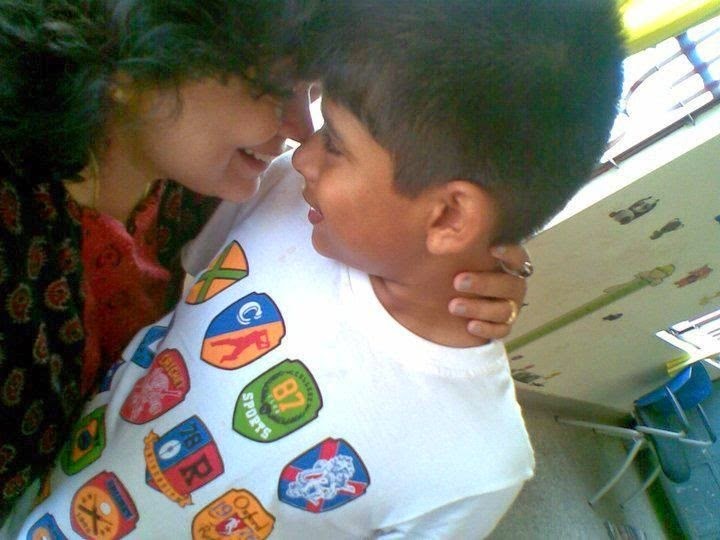 She decided to help Sonu grow up and face the world confidently and cheerfully. Bhasthi writes: “It was four years before he (Sonu) spoke his first word, six-and-a-half before he formed a sentence. Now 13, he goes to Class VI at an open school, equivalent to Class VIII in a typical school. Acceptance from teachers and classmates hasn’t come easy, but she (Rao) is sceptical about special schools, where “children are in a place where they aren’t interested in each other. In a regular school, he has to talk, he has to protect himself, that enriching environment is required,” she believes.”” Sonu is encouraging his mother to remarry. He plans to buy himself a Jaguar XF when he’s 21 and be a business leader in a large company where people report to him. He hopes also to be able to support and teach children like him who have special needs. Rao believes their journey has been, and continues to be, tough but they “soar” together, inspiring each other along the way. Now, I am sure Rao, in her own private moments, at least initially, must have struggled to come to terms with her son’s special condition. We all do struggle when we are first confronted with an “abnormal” Life situation which we have neither expected nor wanted. The first reaction is denial – “no, this can’t be true”. Then there’s the “why me?” phase. Then, because the situation still exists and stares you in the face, you are gripped with fear, insecurity, worry and anxiety. But all these only debilitate. They cripple you and inhibit your thinking. Which sure doesn’t help you to deal with your situation. Slowly, when nothing seems to work, you grudgingly accept your situation. But grudging acceptance means being in the shallow end of the pool of Life. You are merely splashing around on the surface. Only when you accept a situation, only when you take a deep dive and plunge head on into Life, accepting it for what it is, do you see how peaceful – and happy – you can be, despite your circumstances. It is only through total acceptance that you can deal with Life’s challenges – with focus, inner peace and happiness. No challenge will ever go away just because you accepted it though. You don’t conquer a Life situation immediately. Acceptance, however, enhances your ability to deal with that situation phenomenally. There are some Life situations that can be rebuilt over time – like a financial or a career situation. But loss due to death or a health condition – you simply have to learn to live with it. Which is why, whatever be the situation, what Manoj Kumar says in the movie is of great significance to all of us. It’s always wise to remember that none of us can escape what we have to go through in Life. It’s equally wise to also take a leaf from Rao’s and Sonu’s book – and “live” Life “inspired” because there’s no way you can change what was, what is or what will be. Author AVIS ViswanathanPosted on April 29, 2014 March 14, 2016 Categories Art of Living, ASD, Autism, Autism Spectrum Disorder, Deepa Bhasthi, Dr.Shilpa Rao, http://schemas.google.com/blogger/2008/kind#post, Inner Peace, Intelligent Living, Karm-yog, Manoj Kumar, Rajendra Kumar, Sonu, UncategorizedLeave a comment on Live Inspired: There’s no way you can change what was, what is and what will be!